One of the perennial events of the i4C is the School of Cool, where wine industry professionals come together to learn more about the intricacies of Chardonnay. 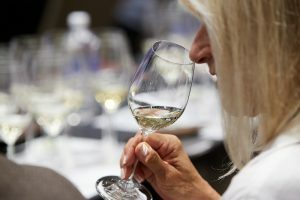 Our international and Ontario winemakers come together to discuss and debate Chardonnay techniques while attendees participate in blind tastings. This year, we will be joined by Keynote Speaker Jon Bonné, author and wine writer, as we go through exciting and compelling sessions. In this session we’ll be exploring sensory science and our perception of wine. Among other topics we will address individual differences, and whether our wine preferences are in some way predetermined by our biology. Are great tasters made or are they born? Also, how do we decide which wines are ‘great’, as opposed to just ordinary? Who gets to decide, and on what basis? And, more broadly, what is the nature of wine perception and expertise? Drawing on insights from psychology, physiology, neuroscience and even philosophy, we’ll address these questions through the lens of eight superb – but quite different – cool-climate Chardonnays. If you had to choose a combination of one grape variety or classic blend and one food type to sustain you on a desert island for the rest of your life, what would it be? Champagne and Lobster? Not bad. Cabernet and Lamb? Delicious. Tokaji Aszu and Foie Gras? Yum. I’d like to propose another excellent option. One that promises a unique flavour and textural experience each and every day – Chardonnay and Cheese. Both products offer a vast array of styles which means there is a Chardonnay for pretty much any mood, and countless cheeses to satisfy your every whim. In this session we will explore a range of different styles of Ontario Chardonnay each partnered with a fine Canadian cheese. With the guidance of our expert panel, the goal will be to ascertain where wine style fits into the pairing equation. Because we aren’t on a desert island, we will also include several cheese plate accompaniments to see how they can vastly improve or diminish this gastronomic experience. After this session, it will just come down to choosing which island to desert yourself on! Considering the worldwide pendulum swing over the last decade or so, from the hey-day of heavily oaked, toasty, buttery Chardonnay to a decidedly less woody, flinty style, the topic of raising Chardonnay is as timely as ever. And for a subject more often than not observed superficially, it’s also time to delve deeper. In this session, we’ll take a hard look at the vessel options available for fermenting and ageing Chardonnay before bottling. Using a range of premium wines to illustrate, the panel discussion will revolve around the past, present and future of the variety, following fashion or tradition, fixed philosophies or markets, and essentially what, exactly, informs each winemaker’s decision on where and how long to age their wines before release. Small vs. Large wood, wood type (oak, acacia, chestnut) new or old, light or heavy toast, concrete, clay, terra cotta or stainless? Terroir, personal philosophy, savvy marketing? Let’s explore. Purchase your tickets for the School of Cool here. 3:30pm to 4:15pm: Join Wines of Chablis for this complimentary seminar in the Idea Loft of the White Oaks Resort, following School of Cool. From Petit Chablis to Chablis Grand Cru, where Chardonnay is the purest expression of terroir. There are many reasons why Chablis wines are some of the most unique Chardonnay-based wines in the world. Firstly, Chablis’ link with geology, more precisely with the Kimmeridgian soil and its tiny fossilized oysters, make Chablis wines’ mineral expression so distinctive. Secondly, Chablis’ northern geography and, as a consequence, its cool-climate, provide the best environment for Chardonnay grapes to develop such a pure, elegant and terroir-focused white wine, always striking a perfect balance between freshness and fruit expression. In Chablis, the Chardonnay grape can reach its full potential of terroir transmitter, highlighting the distinctive features of each of Chablis’ appellations – Petit Chablis, Chablis and Chablis Premier Cru,Chablis Grand Cru – and the various Climats contained within them.